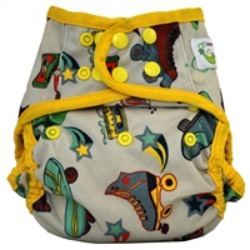 This economical one size diaper cover is designed to prevent leaks, adjusts from birth through potty training, and LAST through your child's diapering years and beyond - for use on future children. 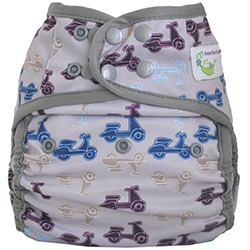 You're sure to love the Sweet Pea One Size Diaper Covers thick waterproof shell, strong snaps and laundry tabs. 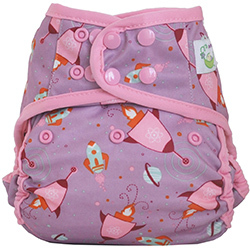 Sweet Pea Diaper Covers fit great over your preferred absorbent diapering method. 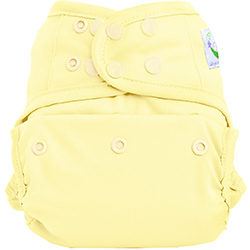 Prefolds, flats, fitteds, contour diapers, etc. 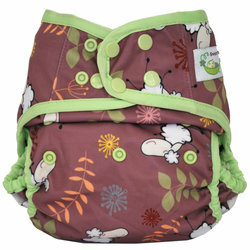 You name it and Sweet Pea Diaper Covers will cover it! 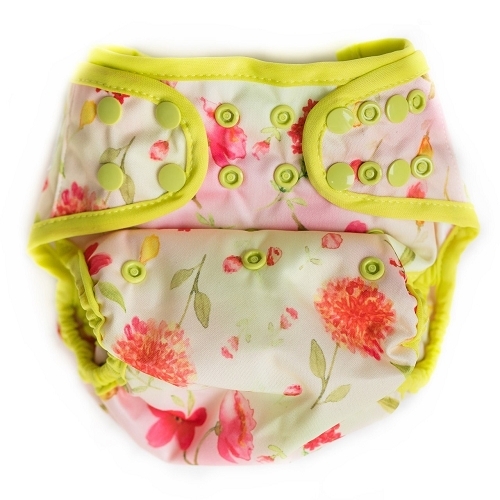 Sweet Pea Diapers are Made in China. The fit of these are great, they get tiny for newborns, however, I feel loke the PUL is too thin-I get overnight leaks with these like none of my other covers. 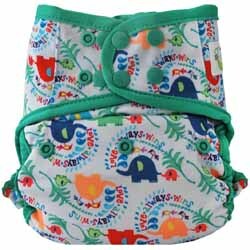 Maybe I am spoiled by diaper junction brands incredible thick PUL, but these are a daytime only diaper for us. Which is fine, but I will stick with the ones that work all the time for future purchases. 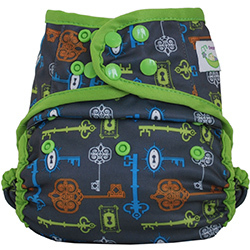 This isn't my favorite cover, but I loved the newborn size Sweet Pea cover so I thought to try out the one-size. I like how soft and stretchy the cover is, and I can get a good fit overall. I feel like there is good coverage with the cover, but it isn't too bulky. But all the snaps are crazy! Not sure why there are so many. I know a lot of people rave about this cover, but it wasn't love for me. I bought this cover in the print Fluff Mail. It's a single layer cover with double leg gussets. It is fairly roomy. 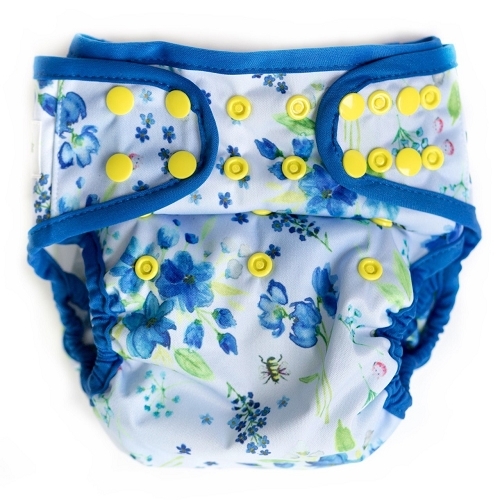 There are 4 snaps on each side which seems a bit excessive considering how close together they are but the diaper is definitely closed securely. 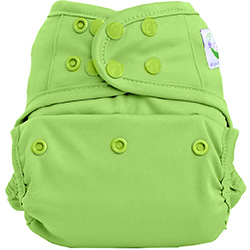 There are no flaps in the front or back inside the diaper to prevent wicking, but I haven't had any issues so far. I do wish it did have flaps though. 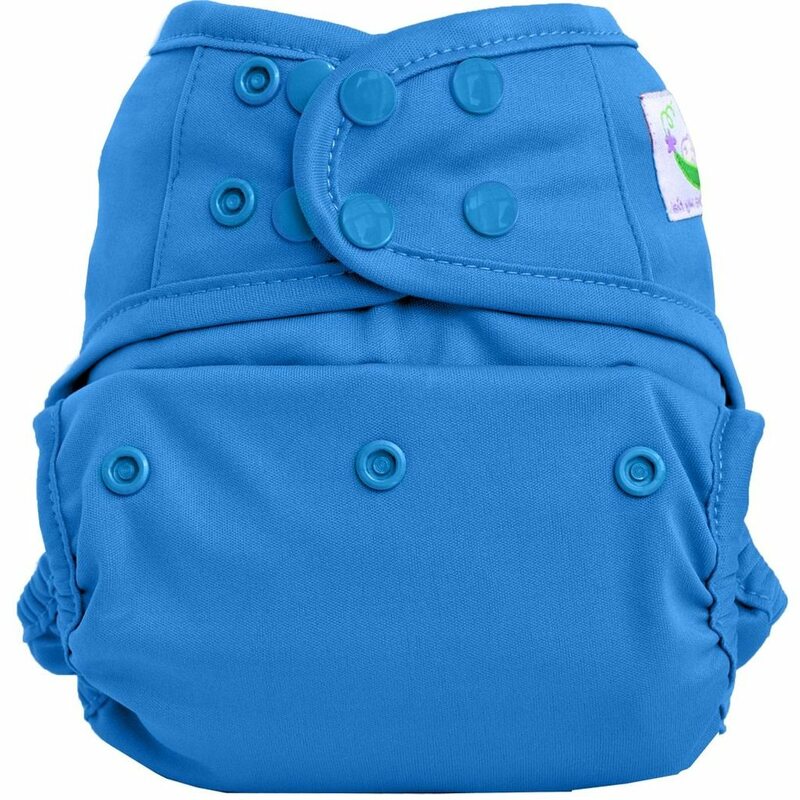 I usually use this with a pad folded diaper rite bamboo flat. Thus far it's worked well and I've not had any leaks.